According to reports, Tesla Motors is expected to launch its mid-range electric vehicle, the Model 3, next month with the first deliveries to dealerships coming in 2017. Running simultaneously with Tesla’s efforts are commercial, technological, and regulatory advancements that will help bring electric vehicles into the mainstream very soon. For example, in Ontario, Canada, the new Climate Change Strategy Electric Vehicle Incentive Program, intended to help reduce greenhouse gases, will make electric vehicles more affordable for average citizens. In Aspen, Colorado, the Congestion Mitigation and Air Quality Improvement grant allowed the county to purchase three fully electric Nissan Leaf vehicles and nine-kilowatt charging stations. 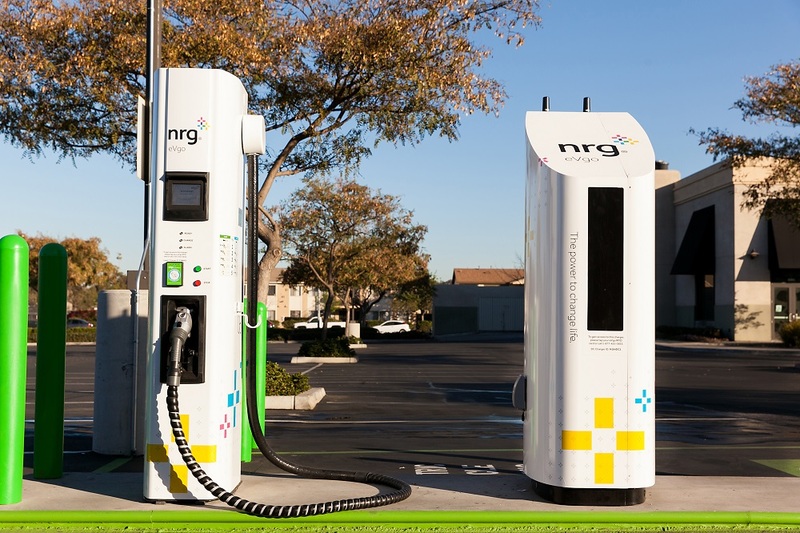 In the private sector in well-traveled locations such as shopping malls, for example Katy Mills Mall in Texas, fancy, clean, futuristic charging stations for electric vehicles are being installed that are capable of charging any electric vehicle. And even small mom-and-pop stores such as Blueskin Nurseries and Café in Dunedin, Florida, are installing just a single charging station in order to attract customers and to partially power their business with solar panels needed for the charging station. Electric vehicle charging stations are now cheap, between $400 to $2,500, and can be purchased online. A new kind of synergy is beginning to emerge with the progress of driverless cars, electric vehicles, and car-sharing services. The world we will live in if these technologies continue to grow will be significantly different than that we experience today. Tesla’s growing EV network is the largest in the world and its Gigafactory is built but not yet fully operational.